This is part three of a four part series named Locus Solus and is comprised of the following sections, Phase 1: Warp, Phase 2: Planet, Phase 3: Galaxy and Phase 4: Space Hulk. 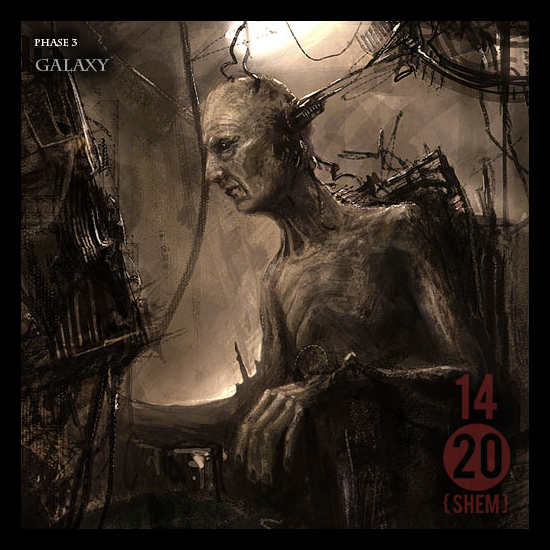 Phase 3 – Galaxy: An audio diorama for the Warhammer 40,000 universe, constructed from multiple tracks and sound effects to represent a particular theme within the broad scope of this sci-fi medium – in this case the ambiance of a galaxy. We hear the movement of ships in the void, conflict in zero gravity between gargantuan ships, the immensity, age and misery of deep space, the distant fading signals. If I have been successful, there should be a distinct sense of the sheer size of space-bearing vessels, humbled yet by the vastness of the pitiless cosmos, mixed with a tribal attitude that I believe would proliferate and characterize the warrior pseudo-cultures of a distant future. Let me know what you think, I would love to hear feedback.